Which Minecraft（マインクラフト） Mob - Character Are You? What type of dwelling do あなた live in? which one is better Mineplex または Hypixel? If あなた could have one of these be updated, which would it be? tại sao heo trong Minecraft（マインクラフト） của tôi chỉ có cái đầu? How much does a Minecraft（マインクラフト） account costs and the game itself? I 愛 Minecraft（マインクラフト） and also like creepers even though there sometimes pests.I have made a cool modern house there is a pic of it.In creative あなた can fly and get what あなた want によって just pressing e and the same to get of.To fly あなた just double tap the 宇宙 bar.To get back down あなた do the same.You can change Minecraft（マインクラフト） Skins（スキンズ） and people.I will be making アップデート on any news または new mods! hope あなた have time to have a look! Hello there I'm GDTrekkie AKA Purple Enderman. あなた might have seen that Minecraft（マインクラフト） Story Mode came out によって Telltale games. When あなた play it あなた would see that it's もっと見る cinematic then a real video game would be. As I was thinking I figured out that a Minecraft（マインクラフト） Movie won't come out any time soon. The reason is because of the Story Mode. They wanted to make it like a movie, but where あなた choose the story. So now we think, "Is there going to be a Minecraft（マインクラフト） Movie?" In early 2012 (or perhaps late 2011) I began to follow a youtuber named “Skydoesminecraft”. Sky is a minecraft-playing youtuber (no duh). He often plays ランダム Minecraft（マインクラフト） minigames, and shows off Minecraft（マインクラフト） mod showcases. In at least 90% of his videos, he is accompanied によって one または もっと見る other youtubers. This is often a large draw to the public because it includes varying people with varying styles that build off of each other. This led to a group によって the name of “TeamCrafted”. Whether you're playing in Survival または Creative mode, redstone is an amazing substance that will open up immense possibilities of Minecraft. It will enhance your gameplay によって teaching あなた how to connect and control the blocks that make up your world. Minecraft（マインクラフト） is a sandbox construction game created によって Mojang AB founder Markus Persson, and inspired によって the Infiniminer, Dwarf Fortress and Dungeon Keeper games. Gameplay involves players interacting with the game world によって placing and breaking various types of blocks in a three-dimensional environment. In this environment, players can build creative structures, creations, and artwork on multiplayer servers and singleplayer worlds across multiple game modes. is a song like were glad あなた came. a poll 追加されました: If あなた could have one of these be updated, which would it be? a reply was made to the forum post: What do あなた want to build in minecraft? 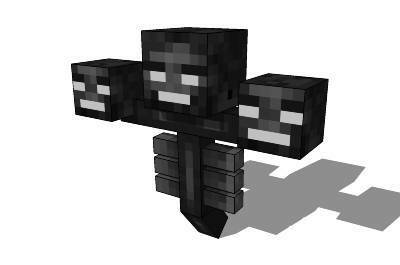 What does the Wither drop when it dies? What do あなた want to build in minecraft? What Minecraft（マインクラフト） skin should I have?